Reid Ross in 1944 wearing parachute silk round his neck. 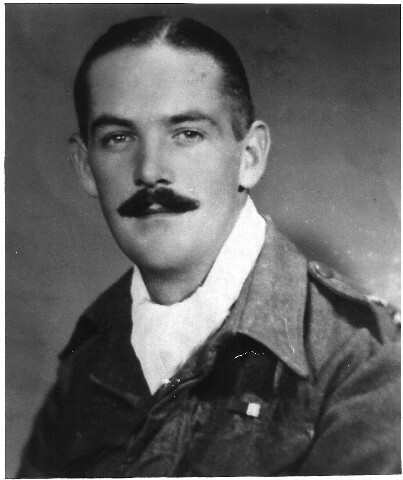 He was awarded the Military Cross for bravery in S.E. Asia. What a lovely photo of my dear cousin Reid whom I met several times along with his lovely wife Veda, when visiting from Australia. My father James Gibson McIntosh Murray was born in Invergordon, family emigrated to Australia in 1929 and I must have lots of relatives still in the district. Dad and Mum visited with Reid and Veda and had many a natter of their war days. Invergordon would have been very proud of Reid's acheivements. My regards to all.